Skirting the eastern edge of the mountain is the Waipa River, which served as the major thoroughfare for pre-European Maori as well as during early European settlement. Established on the eastern bank of the river, the military village of Alexandra (later renamed Pirongia) dates back to 1864 when Waikato militia established several redoubts here as a result of the Land Wars of the 1800s. The serenity of the rich countryside around Pirongia conceals a fascinating history of pre-European power plays and colonial conquests. Delve into this dimension with the help of our Historic Visitor Centre. Pirongia village and surrounds has a rich history stretching back into the mists of time long before the Pakeha (settlers of non-Maori descent – mostly Europeans) arrived in the district. Before the arrival of the Pakeha, the area around the present day village was associated with several hapu of Tainui. Its location was particularly advantageous, with rich sources of food in the river and streams, on nearby Mount Pirongia, and on the fertile river flats. There were well established trails to the coast at Kawhia and the river provided the main routes for travel by canoe to the lower Waikato and upstream into what is now known as the King Country. By the 18th century there was a considerable Maori population with many villages and fortified Pa. Inter-tribal warfare of that time meant that by the late 18th century the area between (what is now) Pirongia and Te Awamutu was unsafe for settlement. Oral traditions tell that the first Maori inhabitants found their way into the area, some by following the river, and others travelling overland from Kawhia. The first European settlers arrived by the same routes. From the 1820s, a number of Europeans were welcomed by the Maori inhabitants as traders who brought new skills and technology which were rapidly adopted. Many of these newcomers took Maori wives and adapted to Maori culture. Their offspring made important contributions as people who could operate in both cultures. Many families still prominent in the Pirongia district today can trace their ancestry to those early traders and their Maori wives. Church missionary activity in the area began in 1834 with the establishment of an Anglican Mission near the junction of the Puniu and the Waipa Rivers. Using the knowledge and contacts of the Pakeha-Maori (as the early traders were often known) and the missionaries, by the 1860s local Maori had developed a growing trade, initially of dressed flax for export, and then increasing quantities of food and produce to supply markets in Auckland and further afield. This produce was conveyed down the Waipa and the Waikato Rivers by canoe and up a tributary near Waiuku which lent access to the Manukau Harbour. Later, produce was also conveyed to Kawhia by wagon and on to Auckland by sailing vessel. The settlement, now known as Pirongia, dates back to 1864. 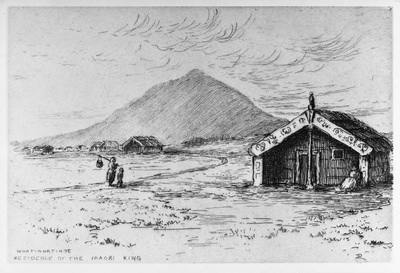 Following the end of the Waikato Land War, Maori land north of the Puniu River was confiscated by the government, and the Maori Kingites retreated into what became known as the King Country. A series of military settlements was established to defend the confiscation line and an important one was established here by the 2nd Waikato Militia. The settlement was named Alexandra, after the English Princess of Wales. It was located where Pirongia stands today, because of its proximity to the Aukati (the confiscation line along the Puniu River) and because in those days this was as far up the Waipa River that river steamers, supplying the new frontier settlements, could safely travel. 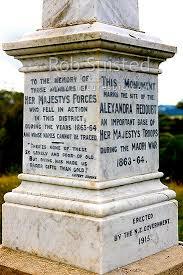 As a result, Alexandra was planned to be the hub servicing several redoubt settlements in the area. 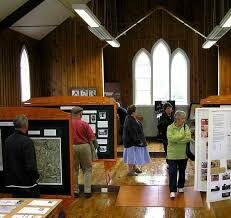 A large settlement was envisaged and 800 town sections were surveyed. Initially, there were two military redoubts here on the east and west sides of the river. 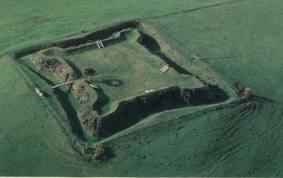 Later a third Armed Constabulary Redoubt was constructed to replace the other two. Located on Bellot Street, it is well preserved and is protected by the Historic Places Trust. Alexandra remained of strategic importance until 1881 when King Tawhiao and his followers symbolically laid down their arms near the intersection of Crozier and Franklin Streets and declared peace, signaling an end to the armed conflict. Initially, the settlement prospered. In its heyday of the mid-1870s, there were two hotels, a variety of shops, a bank, a blacksmith, a lending library, a school and later a creamery, mainly on Crozier and Franklin Streets. However, the decision to route the main trunk railway via Te Awamutu, and the resulting gradual decline in the importance of river transport, together with the dispersal from the King Country of King Tawhiao and his followers, meant that by the 1890s, Alexandra was being superseded by Te Awamutu and other settlements on the railway line. 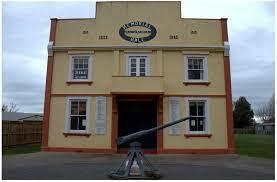 Many businesses moved to Te Awamutu or closed and the settlement gradually assumed the character of a small farming centre. In 1896, the name of the settlement was changed from Alexandra to Pirongia to avoid postal confusion with Alexandra in Central Otago. In recent years, Pirongia has experienced a resurgence of growth. There are more than 400 residences in the township which has a growing population in excess of 1200. More families live on an increasing number of life-style blocks in the surrounding farmland.